If you are planning a trip to Gambier, Ohio, chances are that you are also visiting Kenyon College! Whether you are taking a college tour or catching up with the kids, it’s always great to have a list of the best things to do in Gambier. Below, you’ll find five fun ways to spend time with your loved ones. Afterward, if you are looking for more ways to make your trip memorable, take advantage of our vacation packages at The White Oak Inn! 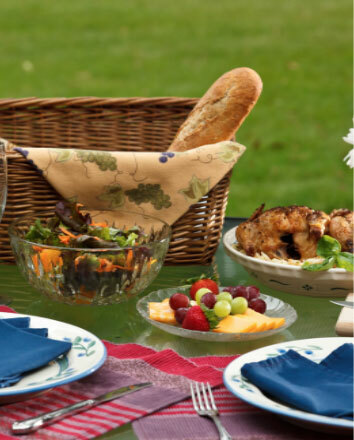 From comforting add-ons like picnic baskets to fun activities like murder mysteries, our specials are a wonderful way to make the most of your visit! If fishing, kayaking, or canoeing sound like the perfect day to you, then make your way over to the Kokosing Gap Trail. The trail itself is over 14 miles long. During your hike, you will traverse the Kokosing River twice on railroad bridges. You can also look forward to plenty of forests, wetlands, agriculture, wildlife, and livestock along the way! Brown Family Environmental Center is another fantastic way to enjoy the great outdoors in Gambier. This amazing preserve boasts over 500 beautiful acres of land. Brown Family Environmental Center is open to the public seven days a week during daylight hours. In addition, free events are often on the calendar! If you are visiting Gambier during the spring or summer, you are in for a treat! 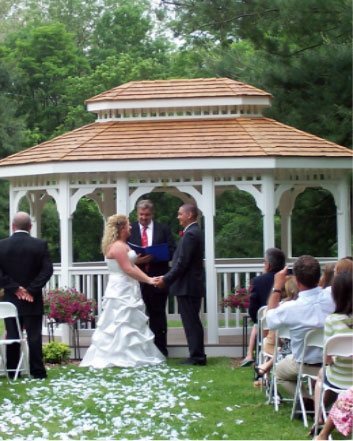 Apple Valley Golf Club is only 15 minutes away from Kenyon College in Howard. It is one of Ohio’s highest-rated public golf courses. The golf course is also home to an excellent bar and grill which is open to the public every day during the golf season. Wiggin Street Coffee is home to some of the best coffee in The Buckeye State. It is a wonderful place to enjoy a light morning or afternoon snack. This local coffee shop is open year-round and offers both hot and cold beverages. Take one sip, and make it a family tradition during your visits to Kenyon College! Schnormeier Gardens is one of Gambier’s best-kept secrets. This family operated garden features three acres of beautiful gardens, including a waterfalls garden and a meadows garden with four ponds and beautiful black swans. Schnormeier Gardens is a private residence, and their hours change frequently. For more information on open hours, please call (740) 427-2612. After a day of visiting with family and loved ones, head home to The White Oak Inn to relax and unwind. 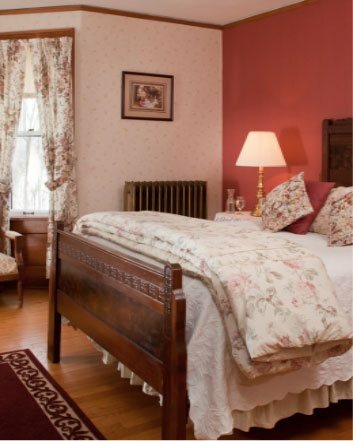 Our bed and breakfast is only 20 minutes away from Kenyon College! When you choose any of our cozy accommodations, like the Poplar Room, you can always look forward to the best amenities, vacation packages, and top-notch service. Daily hot-plated breakfast, our dinner restaurant, and complimentary snacks are a few perks to enjoy during your stay. If you are ready to plan your next trip, check our availability and book your stay! 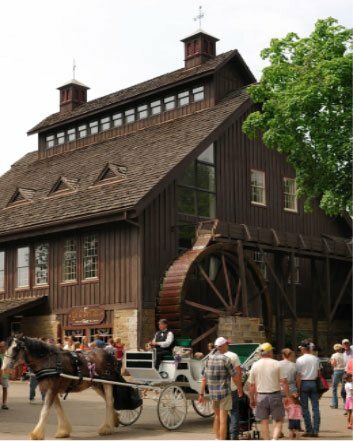 If you are looking for more fun things to do near Gambier in Ohio’s Amish area, download our free Amish Country Vacation Guide.